We offer animal assisted therapy for a range of reasons. Below are just a few. We are not offering councelling but do have a trained psychotherapist or who is happy to discuss working together to achieve the measurable targets you would like to address. Students at Universtiy often find it difficult to cope with their newfound independence and animal assited therapy is useful to encoutrage interaction with their peers. Often the worst cases do not seek help and the session allows for highlighting signposting. We offer an Animal and Art Therapy project which we have developed with local universities. People of all ages can have specific needs and learning difficulties. We can work with them on functional skills, social interaction, simple numeracy and literacy. We have worked with selective mutes on simple communication and people displaying extreme reactions in public due to phobias. We have projects for adults and children at risk of prison, gang involvement, and substance abuse to get them integating more into society. People struggling to re-engage with work after illness or long term employment can improve self esteem and work on lost or dormant skills. We can run projects all around the Midlands, bringing animals for Animal Assisted Therapy. Working with Jarville Jungle and others, we can also offer music, crafts and more. Our projects are fun and give a feeling of informality but work towards taking responsibility and building self-esteem and personal skills. We have projects for children at risk of prison, gang involvement, and substance abuse to get them integrating more into society. One project involves social activities with local senior citizens. Our back to work project helps people work on lost or dormant skills as well as re-gaining their self-esteem. We are looking to start a group just to get together and investigate crafts. If you would like the buzz of creating something yourself and the company of like-minded others get in touch. 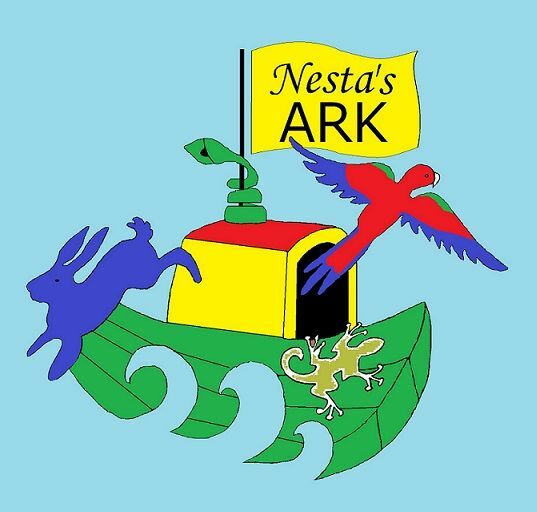 If you are in need of a course or project or if you have service users who would benefit give Nesta a call. Maybe we could work with you as part of your project. If you don't call you will never know what we cold achieve together!